Bill Holman – Chief Information Officer - Clyde Companies Inc.Bill Holman – Chief Information Officer - Clyde Companies Inc.
As CIO at Clyde Companies, Bill leads the Information and Technology Services (ITS) department that establishes and manages the information systems and technologies used across all companies. 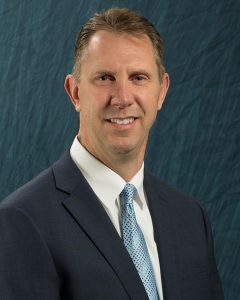 Prior to working for Clyde Companies, Bill was employed in senior leadership positions for 20 years at Brigham Young University and the Church of Jesus Christ of Latter-day Saints. He graduated from Brigham Young University with a bachelor’s degree in Information Systems. Bill and his wife Susan have six children and live in Springville, Utah.